The Corda Campus is the new name for the earlier Philips Research park in Hasselt located near ' Kiewit – district '. Since Philips closed his plant in 2000, a new vision was established to create a technology campus. Step by step this plan is implemented. 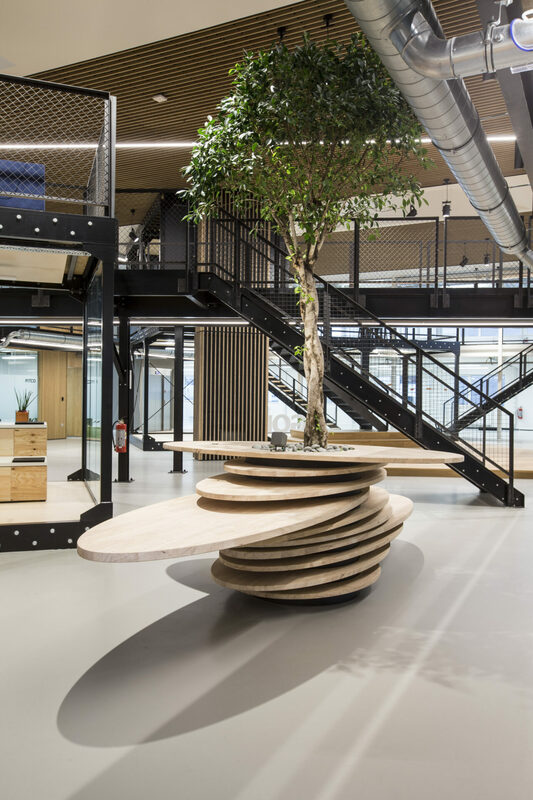 Two old production halls with a surface of 3.000 m² each were transformed into an inspiring working environment. By adding an additional floor the rentable area was increased by 35%. The core of the space is a common meeting area on the ground floor with open&enclosed boxes with meeting rooms and workstations. The private modules are connected to the façade. A coworking area will be available soon on the groundfloor.